Phase One Rehab of Ross School’s Geothermal System Begins - P.W. Grosser Consulting, Inc.
Nearly 20 years ago, P.W. 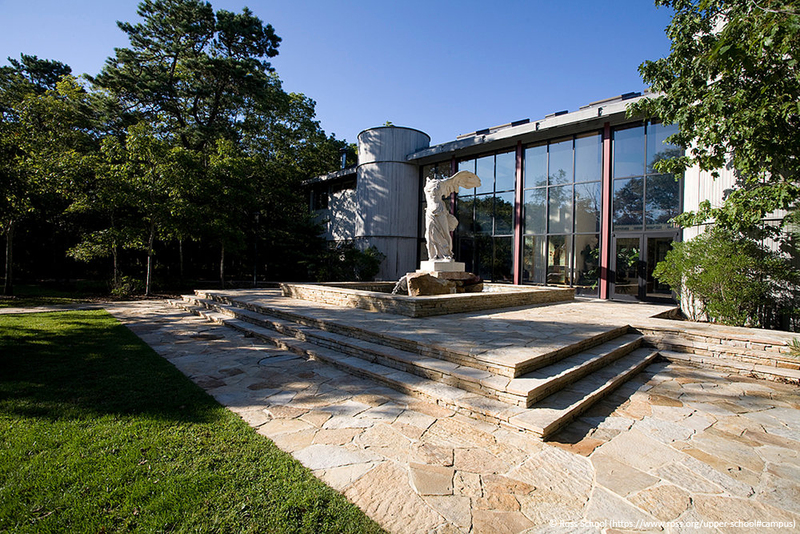 Grosser designed and installed two open loop geothermal systems that provide heating, cooling and refrigeration to two buildings on The Ross School’s Campus, located in East Hampton, New York. 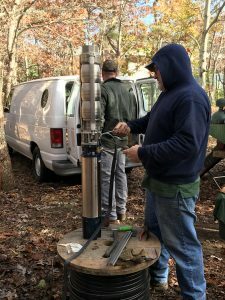 Each system works independently by pumping groundwater up from a supply well, through a heat exchanger in the buildings’ mechanical room, and returning the groundwater to the aquifer it originated from via diffusion wells. Each system is installed in a separate aquifer to maximize thermal performance. 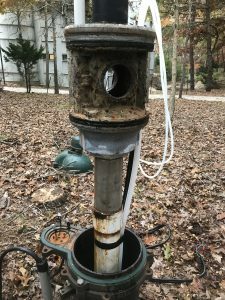 The only change the groundwater experiences is an increase in temperature (during air conditioning season), or a decrease in temperature (during heating season) – it is a non-consumptive, non-contact application. For the first time since their installation, P.W. Grosser was hired to evaluate each system’s current performance and determine preventative maintenance requirements to ensure continued successful operation for years to come. The first phase of “rehabilitating” the systems are underway and involves inspecting the supply wells with a camera. The camera provides a visual of the interior of the well and assists greatly in determining how aggressively the wells must be cleaned. Working closely with facilities management and local well drillers, each supply well is expected to return to its original productivity following the supply well rehabilitation phase. Submersible pumps, motors, wiring and piping will be replaced as they are either past or approaching their effective useful lives. Once the supply wells are rehabilitated, the interior portions of each system will be evaluated and maintained too. 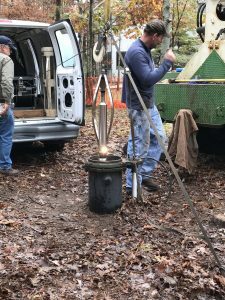 Similarly, the diffusion wells associated with each system will have a camera put down them to assess their condition after nearly 20 years of continuous use. 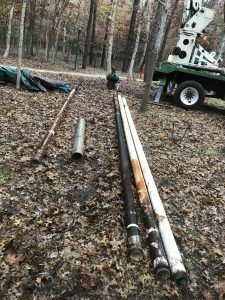 The diffusion wells will likely be in worse shape than the supply wells, as diffusing water back into the ground is more difficult than pumping it out. Stayed tuned for updates as the project continues!